The American TFP > Anti-Blasphemy > Stop The Da Vinci Code! The book, The Da Vinci Code, is bad enough. However, now this bestseller is soon to be made into a major movie by Columbia Pictures. To combat the movie before it hits the screens, the America Needs Fatima campaign is asking its supporters to join together and send hundreds of thousands of protests to Colombia Pictures. America Needs Fatima is also developing e-protests to the film and expects thousands of email protests to come pouring in. Dan Brown’s thriller is pop theology at its best. Using a fast moving plot, he engages the reader and presents a distorted vision of the Catholic Church. This book goes even further by claiming that the Catholic Church hid all evidence of Christ’s child and desire that Saint Mary Magdalene be head of the Church. Under the guise of fiction, The Da Vinci Code attacks everything Catholics hold sacred – the Divinity of Christ, the truth of the Gospel, the Papacy and the holy mysteries of the Faith. Furthermore, it will plant seeds of doubt in many and especially Catholic youth. The campaign will start in June with the spreading of protest postcards. 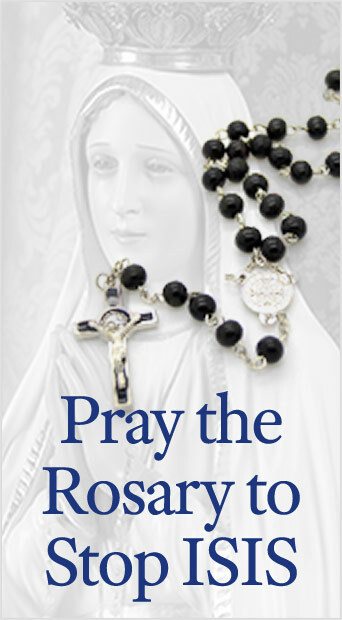 America Needs Fatima supporters are being asked to distribute as many as possible in schools, churches and other places. On-site theater protests are also in the works in an effort which could be the biggest protest ever undertaken by America Needs Fatima.